This paper explores the emerging trends in social justice philanthropy in Egypt at a time of evolving perceptions and practices of giving. To provide context and comparison, the paper reviews the development of social justice within the field of philanthropy in the United States. 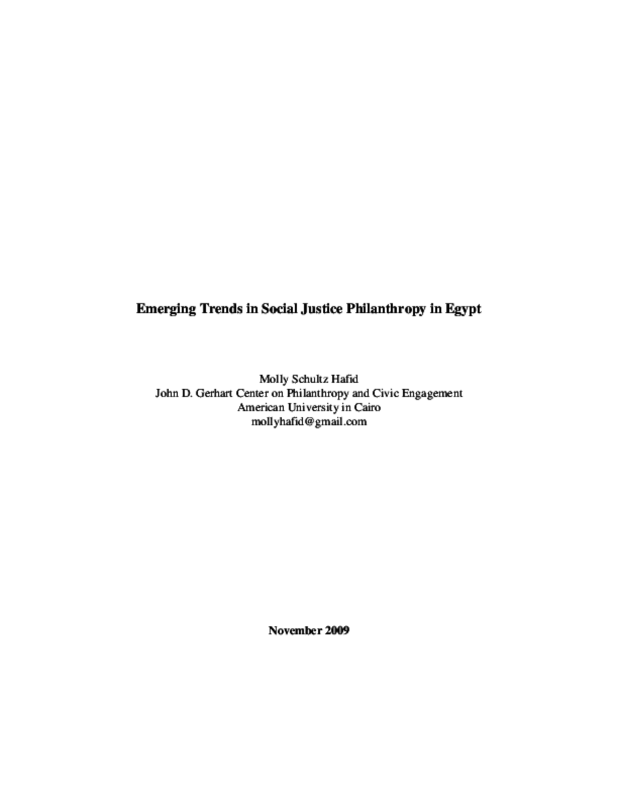 The heart of the analysis is an exploration of how social justice concepts and practices are expressed within institutional philanthropy in Egypt, particularly the emergence of funding streams for social justice-related programs and causes. The paper is based on interviews conducted in 2009 with forty-one individuals representing twenty philanthropic institutions and twelve nongovernmental and other donor organizations. Copyright 2009 John D. Gerhart Center on Philanthropy and Civic Engagement at The American University in Cairo.